The human form is comprised of 206 bones that are held together by a series of ligaments and connective tissue attachments. Beyond allowing locomotion, the skeleton protects vital organs such as the brain, heart and lungs and abdominal organs. However, our skeletal system is prone to injury, wear and tear, infections, tumor and metabolic conditions that damage bone and can become life threatening. Arthritis exists in two main forms. Osteoarthritis is the wear and tear our bones and joints experience over time. Obesity is an important factor that can accelerate osteoarthritis, especially of the knees and hips. All joints are lined with cartilage to provide cushioning and synovial fluid to help lubricate the joint through a range of motion. Over time, these tissues break down and wear away leading to bone spur formation, joint narrowing, inflammation and pain. Severe osteoarthritis management consists of pain control and at times steroid joint injections can provide temporary relief. Advanced cases are treated with joint replacement. Autoimmune arthritis occurs when the body attacks itself and damages joints. 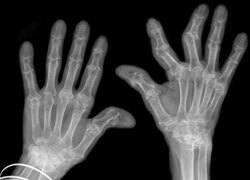 Rheumatoid arthritis is one example and over time, results in severe joint destruction and chronic debilitation. Treatments are geared toward managing pain and modulating the immune system to limit further destruction. As bone mineral density decreases, bones loose their integral strength. 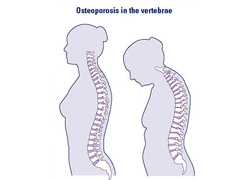 Age, hormone status and diet all play a vital role in osteoporosis. Bones become progressively weak and are prone to fractures with minor trauma. 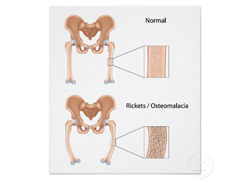 Rickets is caused from a severe deficiency of calcium, vitamin D and phosphate. Bones soften and become weak losing their normal shape. Bone pain, muscle cramps and skeletal deformities occur in this one of skeletal system diseases. 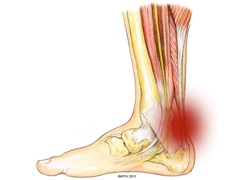 Overuse or injury of the tendons results in inflammation and pain. Tendons connect muscle to bone and facilitate movement. Commonly affected areas include the knee, elbow, wrist and Achilles’ tendon. Treatment includes rest, ice and modifying activities until the pain and inflammation resolve. 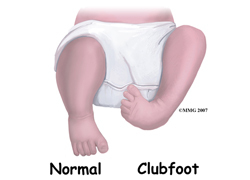 Clubfoot is a birth defect resulting one or both feet pointing inward and downward. This makes learning to walk difficult and specialized orthopedic therapy or surgery is often required. The medical term for this condition is talipes equinovarus. 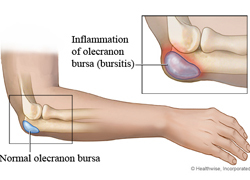 The bursa are specialized sacs of fluid found around our joints. They provide cushioning between the joints and nearby muscle, tendon and ligaments. The well-known condition of 'water on the knee' is an example of prepatellar bursitis. This condition causes pain, swelling and mild redness. Treatment includes avoiding pressure on the area, OTC medications such as ibuprofen and rest. 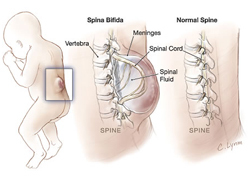 This birth related condition results in incomplete closure of the vertebra around the spinal canal. Many people have a mild form and do not even know it. More severe forms are accompanied by nerve defects, difficulty walking at problems with bowel and bladder function. White blood cells are produced in part by the bone marrow. 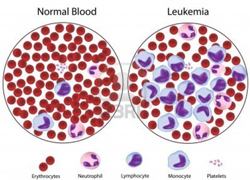 A variety of blood cancers are generally termed leukemia. The onset is generally insidious and until a critical mass of abnormal cells occurs, most people are without symptoms. Early warning signs include: bone pain, excess fatigue, easy bruising, night sweats, unexplained weight loss and bleeding gums. Tumors can arise in bones in a similar fashion as other solid organ cancers. Bone cancer can occur as a primary type of cancer or can be a sign of an advanced cancer located elsewhere in the body that has spread (metastasized) to the bones. 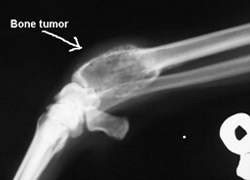 Primary bone cancers include osteosarcoma and Ewing's. Metastatic cancer examples include lung, breast and prostate. Osteogenesis imperfecta is a spectrum of bone disorders ranging from mild to severe and life threatening. People with this condition are prone to fractures with minor trauma. The most severe form usually results in death in-utero. Persons with this disorder may have blue appearing sclera (the white part of the eye has a bluish tint). Osteopetrosis is a rare bone disorder where the bones literally become petrified and are literally dissolve and break. Paget's disease leads to the bones to break down faster than they rebuild. Normally this process is kept in balance, but the accelerated breakdown occurring in Paget's results in fragile bones with an increased risk of fracture.